As happens every year, the official sign of the Fall season has arrived — Starbucks Pumpkin Spice Lattes. But Starbucks isn’t the only variety of pumpkin I like to enjoy. With Jill’s brother working to start a farmers’ market in Winter Haven, I was able to come into possession of a couple of the Volpe’s debut crop: Jamaican Pumpkins. I honestly had no idea what to do with Jamaican Pumpkin, so I looked online. Neither of the two dishes I found, Jamaican Pumpkin Soup or Pumpkin Rice, appealed to me, so I decided to create my own Jamaican Pumpkin Dish. I didn’t come up with a name for the dish, but midway through dinner I said “This is just like a bowl full of good-for-you.” Jill thought my exclamation would make a good blog post title, so here it is. As a bonus, I am including an extra variation on this recipe. 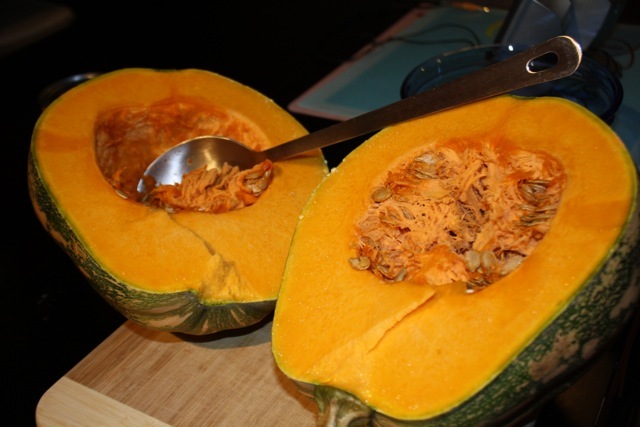 Slice the pumpkin in half, scoop out the seeds, and slice the pumpkin flesh into half-inch cubes. 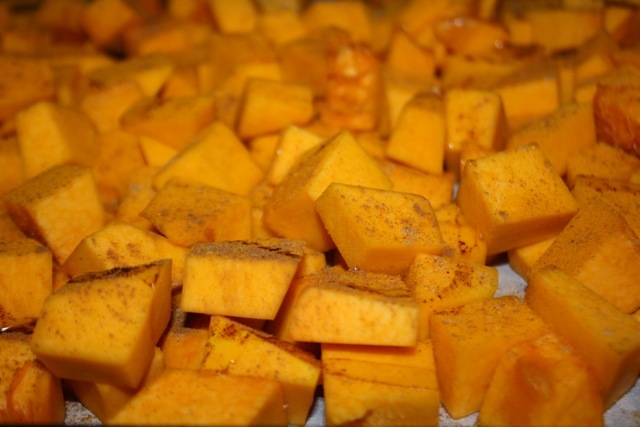 Drizzle the cubed pumpkins with olive oil and sprinkle with salt, turmeric, coriander, cinnamon, and red pepper. 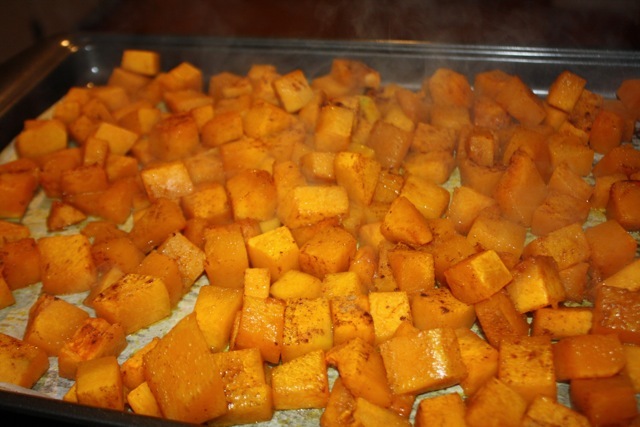 Roast the pumpkin in a 450 degree oven for 20 minutes or until tender. 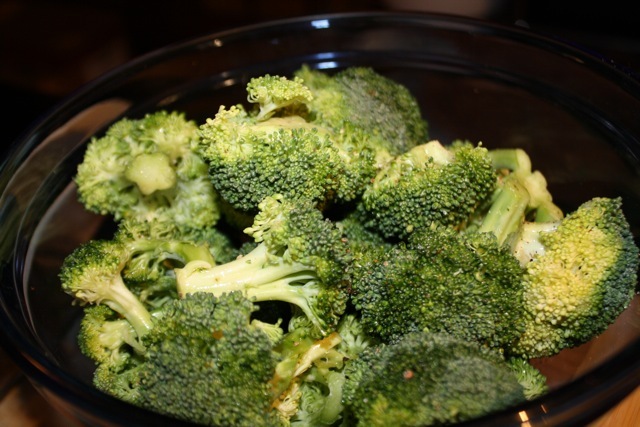 Toss the broccoli florets in a bowl with olive oil, salt, and black pepper until the broccoli is lightly coated with oil. Roast the broccoli in the 450 degree oven for 15 minutes. 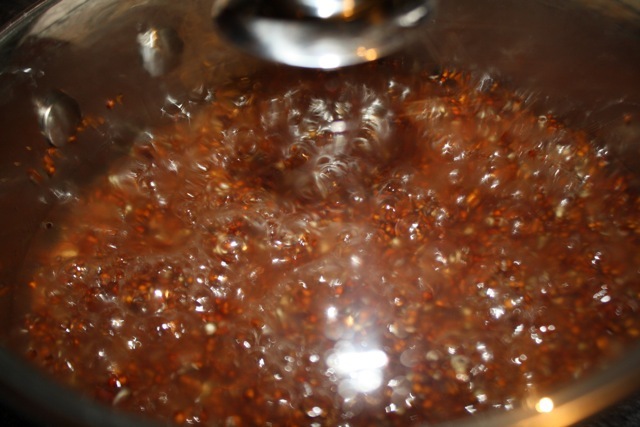 Prepare four servings of red quinoa according to the instructions on the packaging. I used the red quinoa from Trader Joe’s. Serve roasted veggies over the quinoa. To give this dish a bit more flavor, and to make good use of turkey sausages left over from dinner on Saturday (while watching Florida State beat Miami! 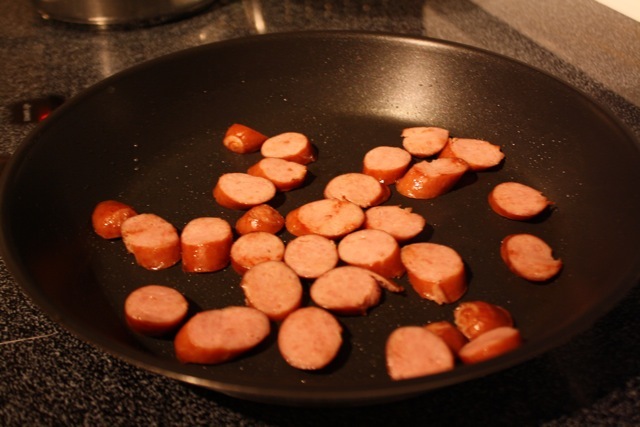 ), I sliced two and a half turkey sausages at a slight angle into disks. I sautéed the sausages in a on-stick pan with a little olive oil (about a teaspoon) until slightly caramelized on the surfaces. 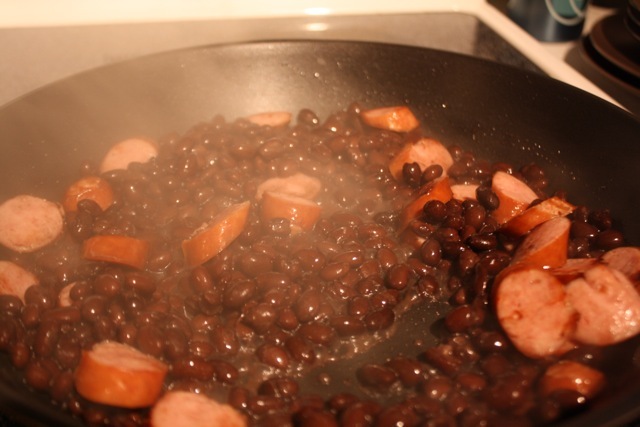 I then added a can of black beans to the sausages and cooked until hot. 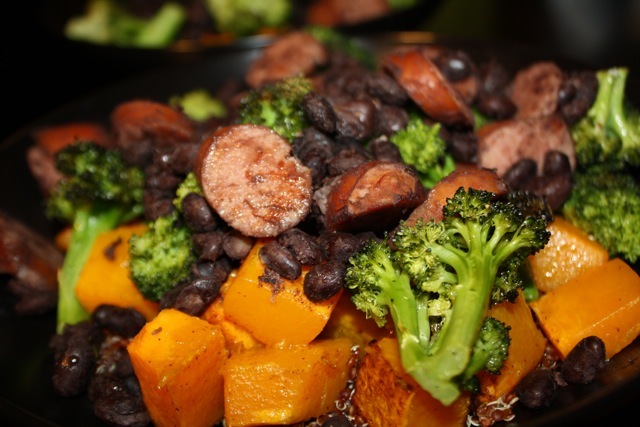 I topped the “bowl full of good-for-you” with the black beans and turkey sausage. 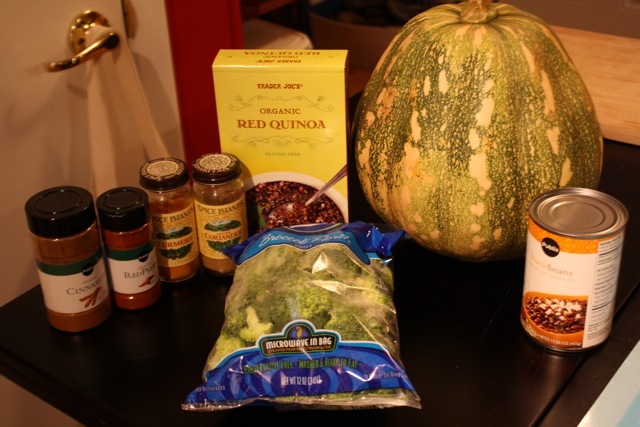 This dish is very simple, allowing the flavor of the pumpkin and the texture of the quinoa to come through. The dish is also, as its moniker suggests, very good for you. The roasted vegetables provide fiber and vitamins and the quinoa provides a gluten-free source of protein, fiber, and minerals. 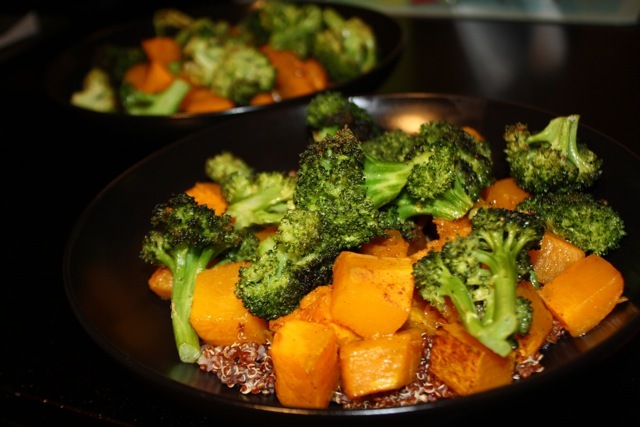 The orange pumpkin, red quinoa, and black beans enrich this dish with fall colors. 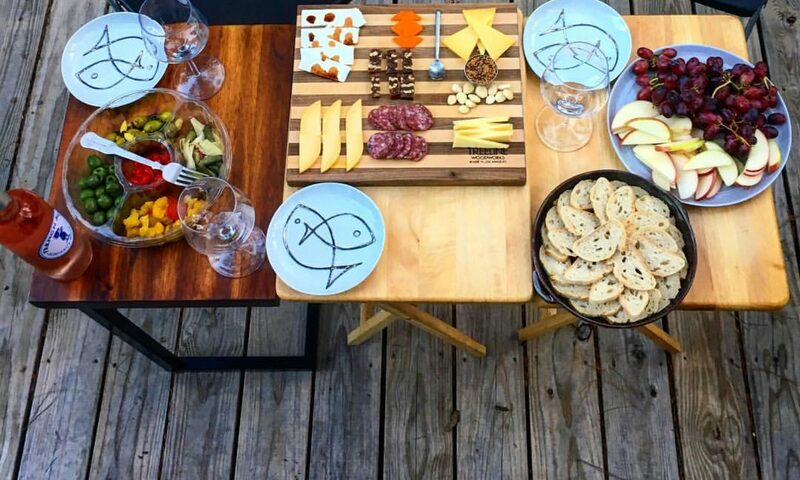 Best of all, it tastes so good.